Do you love cats but hate the thought of cleaning out that stinky litter box everyday? Then we have good news for you. 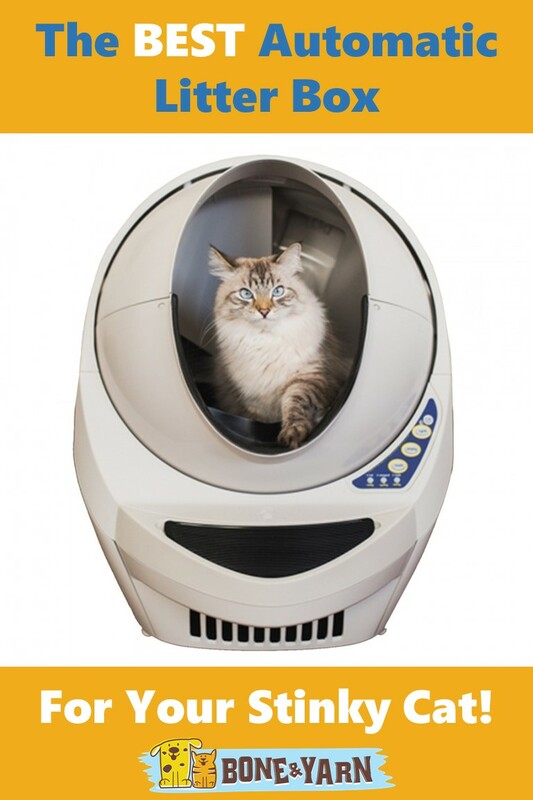 Pet manufacturers have now created a litter box that will do the work for you: the automatic litter box. With the high price tag of these advanced litter boxes, you want to be sure to get the best automatic litter box on the market. That’s what we’re here for! Let’s “uncover” the facts about this helpful invention and find the best automatic litter boxes on the market today. You may just want to get a feline friend (or two) after you read this post. 1 What is an Automatic Litter Box? 3 How Do I Acclimate My Cat to an Automatic Litter Box? What is an Automatic Litter Box? Most automatic litter boxes are designed with a sensor, a timer and a rake. When the cat steps into this type of litter box, the sensor picks up its movement. Once your cat exits the box, the timer will allow for a certain amount of time to pass. Once this has occurred, the rake will be engaged to pull the soiled litter to the back (or front) of the box where it will be deposited into a receptacle for easy removal. Self-cleaning litter boxes also run on a motor that is either powered by a battery, electrical outlet or both. Just make sure to keep them away from water so no one gets hurt! Most automatic litter boxes are designed to use either clumping cat litter or crystals. Be sure to follow the directions on the model you have chosen for which litter it operates with. Also be sure to use the directed amount, as too little or too much litter can affect the way the system works. If your cat is used to a certain type of litter that won’t work with an automatic litter box, you might want to keep your litter habits “old school” and continue cleaning a regular box by hand. How Do I Acclimate My Cat to an Automatic Litter Box? 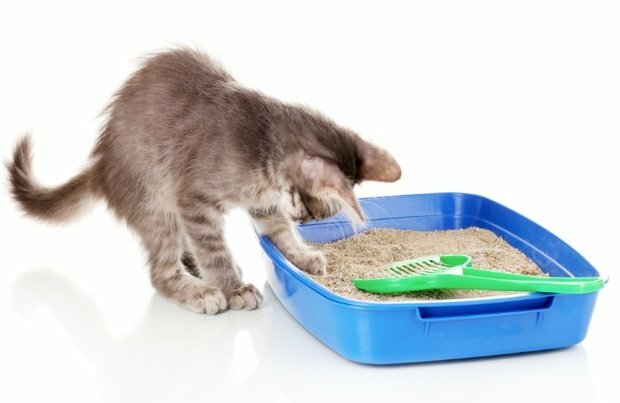 If your feline friend has become accustomed to the traditional-style litter pan, you will need to acclimate him to the self-cleaning model. According to PetMD there are tips in helping your cat transition from the old box to the new smoothly. Set the box up without turning on the self-cleaning mechanism. This will help your cat become used to the new-style of litter pan. You don’t want to freak your cat out with the machine right off the bat! Just remember that cats are finicky creatures and this process might take a little bit of time. However, some cats hardly need any training and are happy to make automatic litter boxes their new bathrooms. Now that we have the low-down on the automatic litter box, let’s look at some of the top models on the market today. Perfect for either a single or multi-cat home, the SmartScoop Automatic Litter Box has been redesigned and improved; the motor is now quieter than ever before. The sensor will begin its countdown of 15 minutes after your cat has left the box to ensure the pee-balls are completely clumped. The rake will then eliminate the waste using a forward motion for easy removal then reset itself at the back of the litter pan. This automatic litter box is also durable and powerful enough to handle all your feline-messes. The Litter Robot III looks like something that may have come straight from a sci-fi movie. This automatic litter box cleans itself using a sensor and timer after your cat has exited the unit. It’s unique rounded-shape is designed to slowly rotate to sift the soiled litter from the clean. The cat waste is then deposited into a carbon-filtered drawer for easy disposal. Plus, there’s plenty of room for those larger cats and it uses 50% less litter than traditional litter pans. In addition, a blue indicator light lets you know when the waste drawer is full and the timer can be set from 3, 7 or a 15 minute delay from when your cat exits the box. If you’re not totally convinced that an automatic litter box is right for you, then the Omega Paw Roll n’ Clean may be a simple solution to not having to touch soiled cat litter ever again. This litter box uses a patented screen that separates the dirty litter from the clean. And all you have to do is roll” it. That’s right – to clean the box you simply roll it onto its top then back to its upright position. The dirty litter will be deposited onto the tray where all you have to do is pull it out and dump the waste into the garbage. You’ll never have to scoop the poop (or pee) again, plus it uses less litter than traditional style-litter pans.